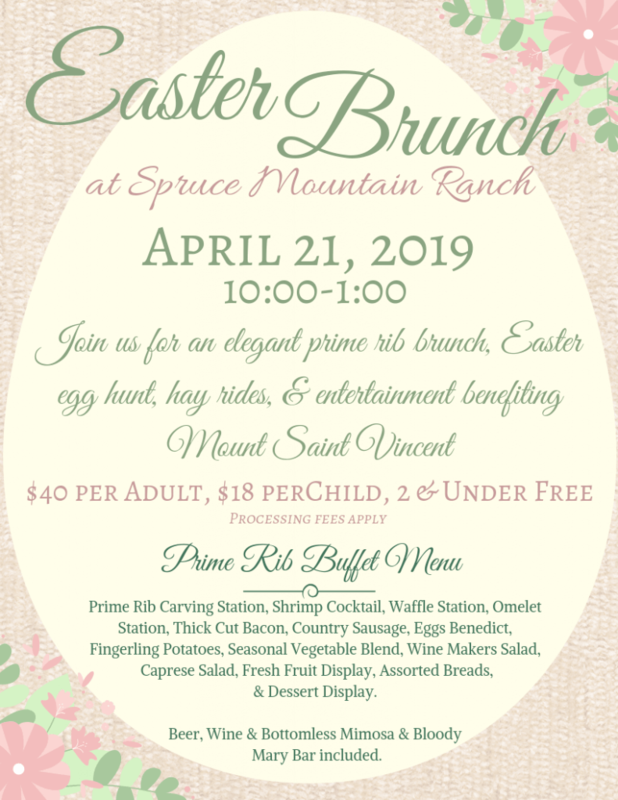 Easter Brunch at Spruce Mountain Ranch – Shining Light Events, Inc.
oin Spruce Mountain Ranch for an elegant Easter Brunch April 21st from 10 am to 1 pm. 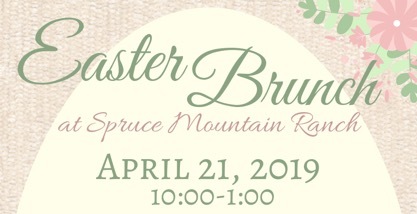 All proceeds benefit Mount Saint Vincent! 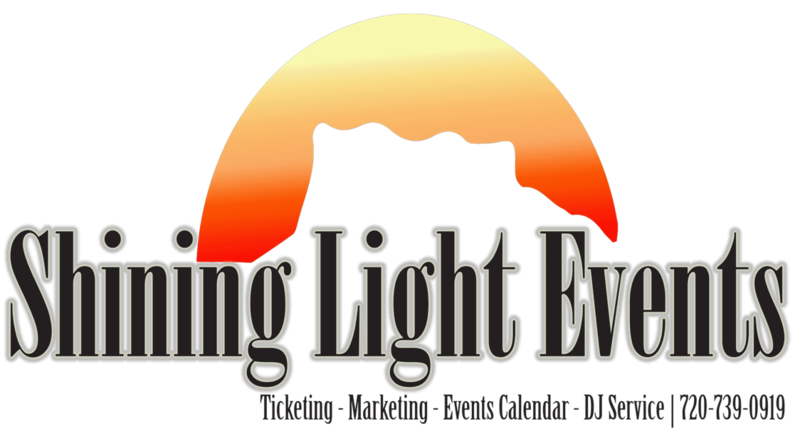 Scroll down to purchase your tickets, this event will sell out!